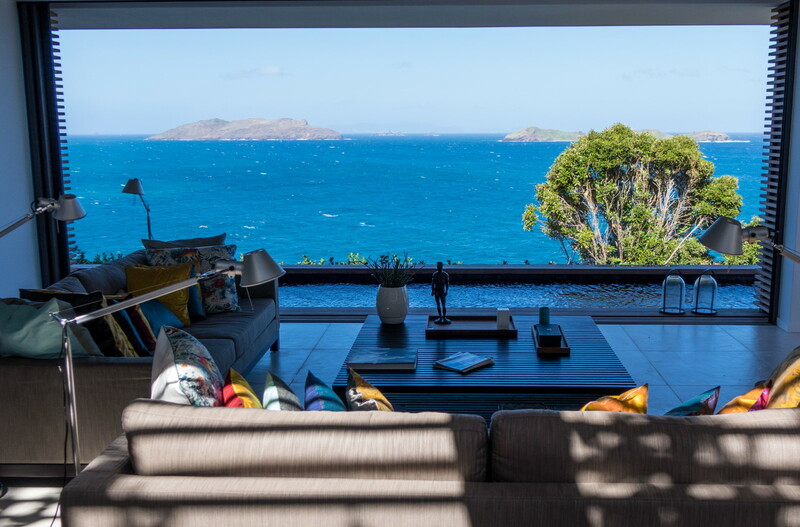 Villa BelAmour is located in the quiet, private and upscale area of Pointe Milou, on the Caribbean island of Saint Barthélemy (a.k.a. 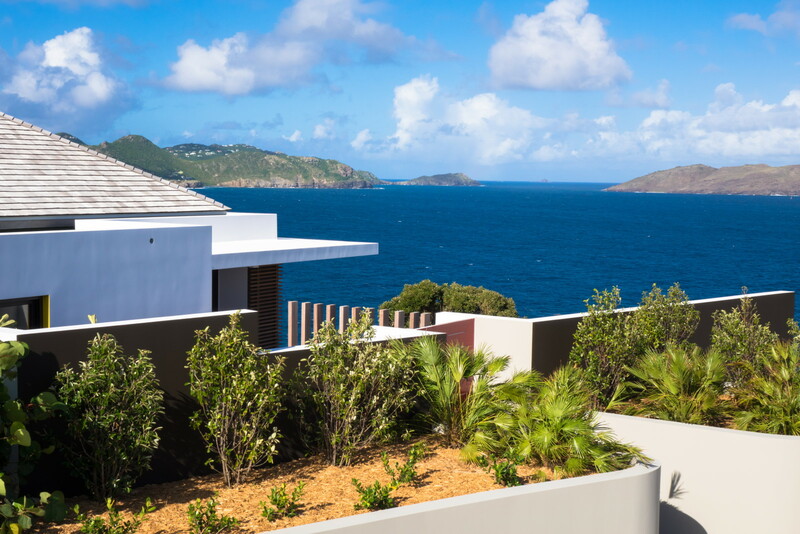 St. Barths), French West Indies. 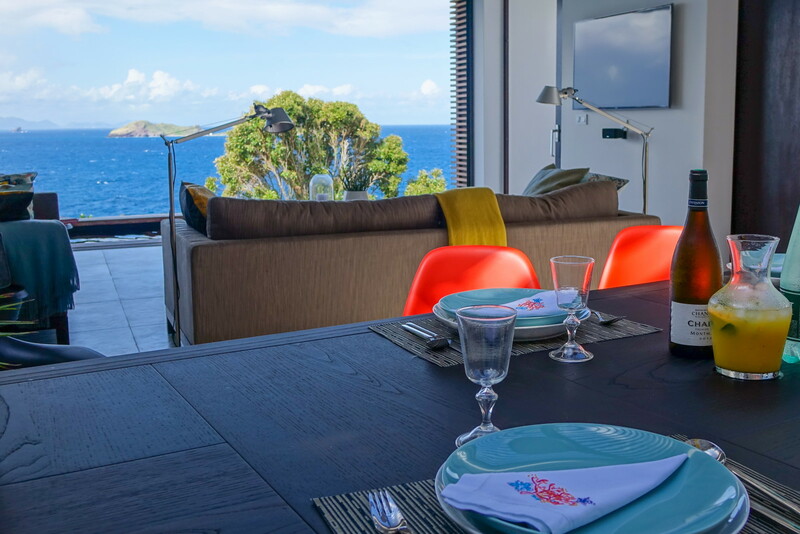 Nestled atop a cliff, BelAmour is the quintessential luxury vacation rental for lovers who value privacy. 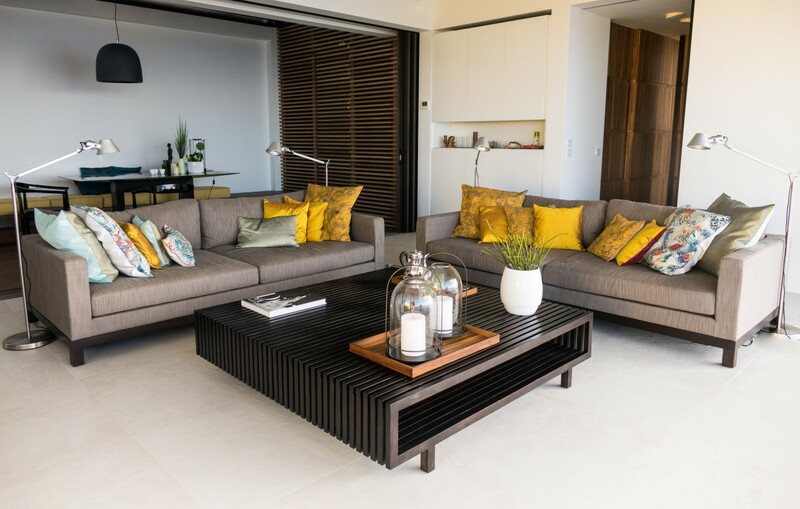 The open concept living room + patio + pool has a contemporary yet welcoming vibe. Perfect for relaxing as a couple and also for entertaining a few guests. 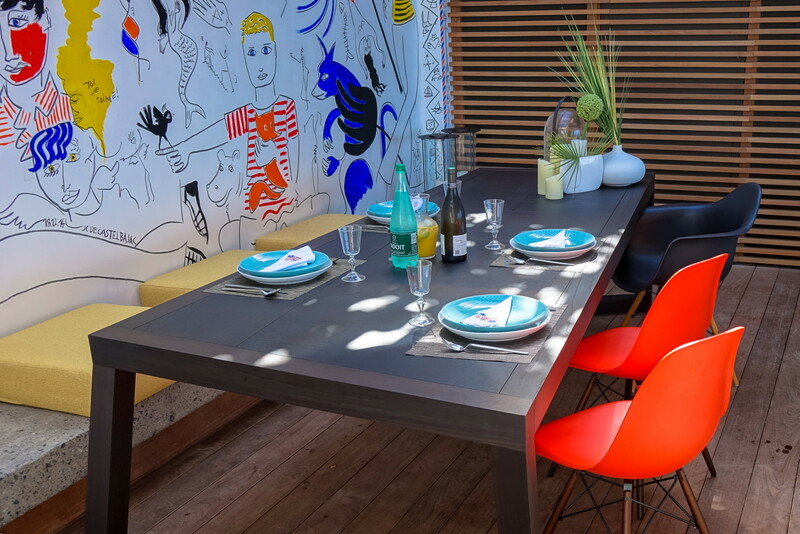 The wall of the patio at BelAmour features a wonderful mural painting by French fashion design and artist Jean-Charles de Castelbajac. He was the first guest to villa BelAmour. Inspired by the romantic atmosphere, he decided to create an amazing, unique, large hand-painted mural designed on the theme of love. For your eyes only. 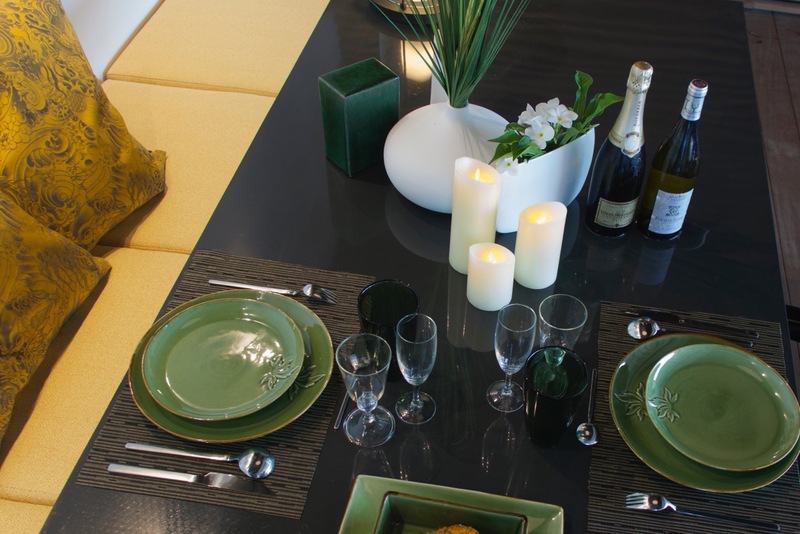 The gourmet kitchen is fully equipped for cooking by you or your private chef. The bedroom is a spacious Master Suite, where the bed area, the bathroom and the dressing room create one large connected private space. 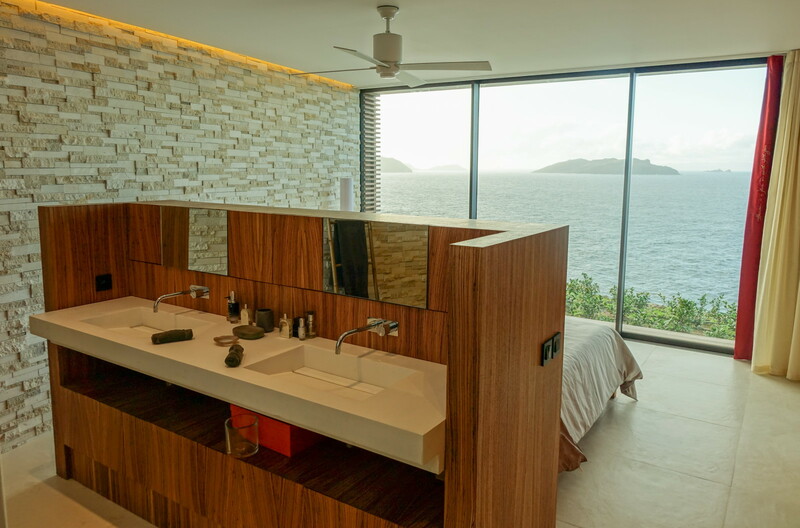 From the king-size bed, enjoy stunning views on the Caribbean sea. The shower is comfortable large for 2 and also has a view on the sea. 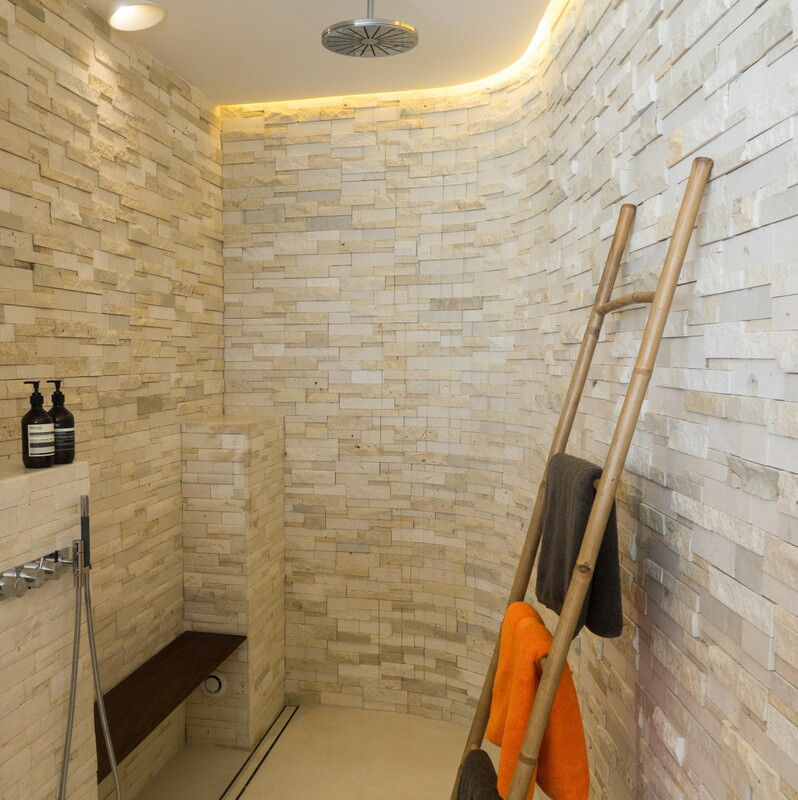 Thanks to its high walls, BelAmour offers maximum privacy. 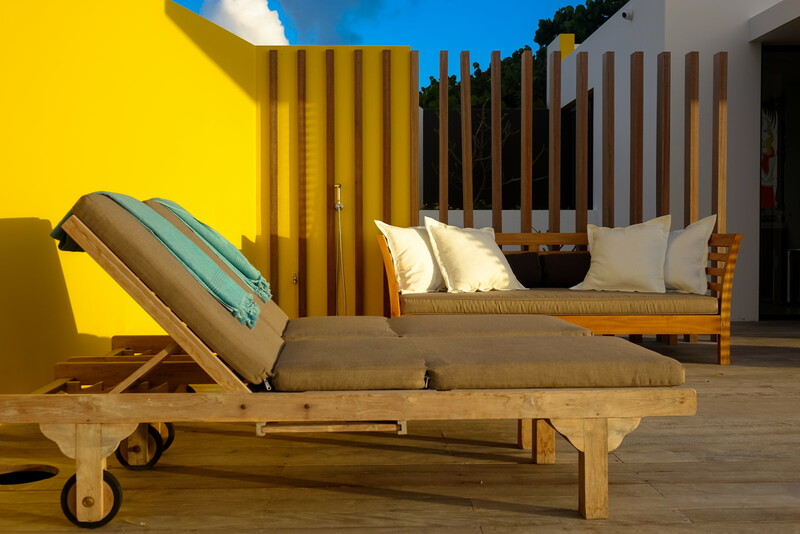 Feel free to relax on the deck, to cuddle on the bench and to skinny dip in the 12 metres long heated pool. 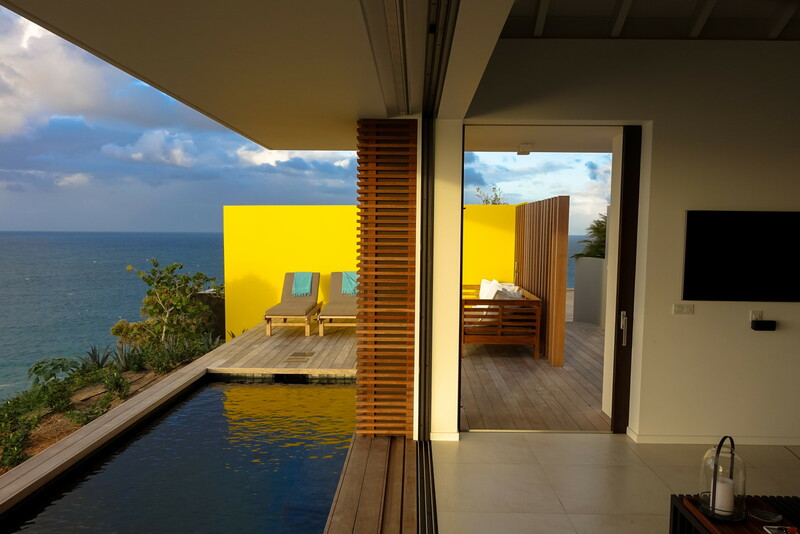 The cliffside heated swimming pool provides unforgettable, romantic views of the Caribbean sea at sunset. 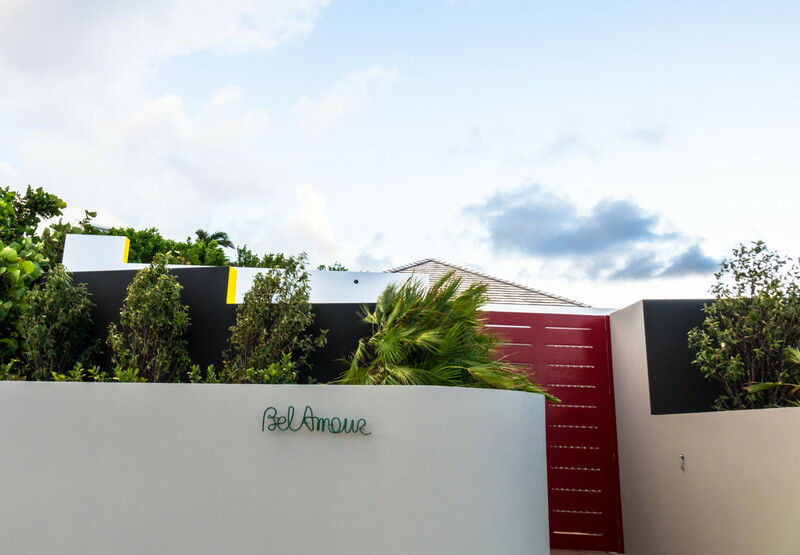 No other place on the island quite compares with the rare, stylish and intimate experience that BelAmour offers. Don’t skip the honeymoon – consider Bel Amour. This location would pair nicely with a destination wedding in Anguilla or Saint Martin. 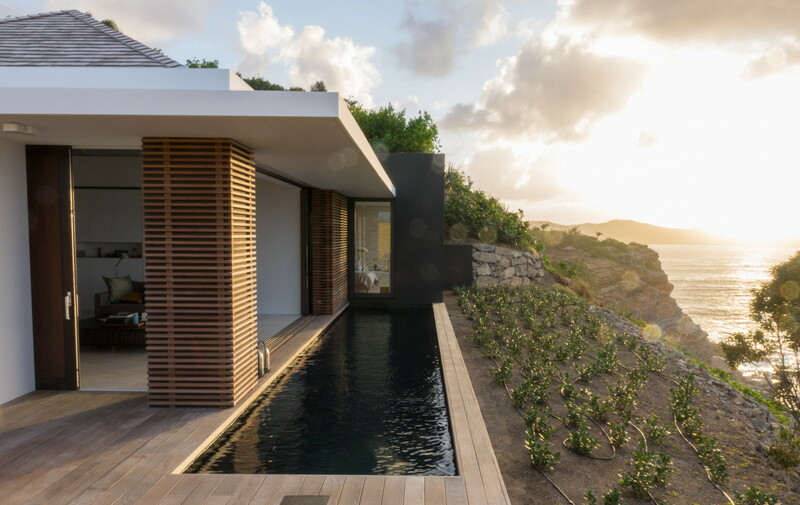 Drop us a line if you’d like assistance planning your Caribbean Honeymoon in Saint Barths.